Among the many losses we face each and every day, the most serious perhaps is our loss of one another as a community. 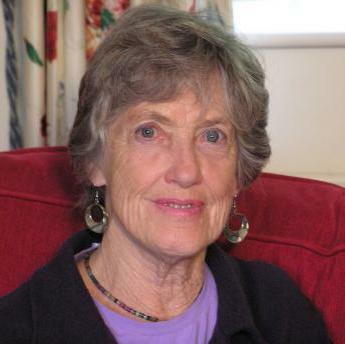 The Work that Reconnects, as formulated by Dr. Joanna Macy, is a series of community-based experiences aimed at re-connecting with ourselves, one another and the planet. The reconnection happens when we come together to support and hold the space for one another – especially to allow the emotional pain and suffering that many of us experience all the time as sensitive beings, something magickal happens. We heal. Using the power of a community to heal and inspire the individual, these rituals and exercises bring about deep healing and empowerment for all. You and I to do it! For the full Deep Ecology S.A. site, click here. The Work That Reconnects is the practical application of Deep Ecology. It’s a set of exercises and experiences to facilitate the reality that we would love to see happen in the world. It is about becoming a participant in bringing about what we hope for. It is a practice, a way of living with purpose. 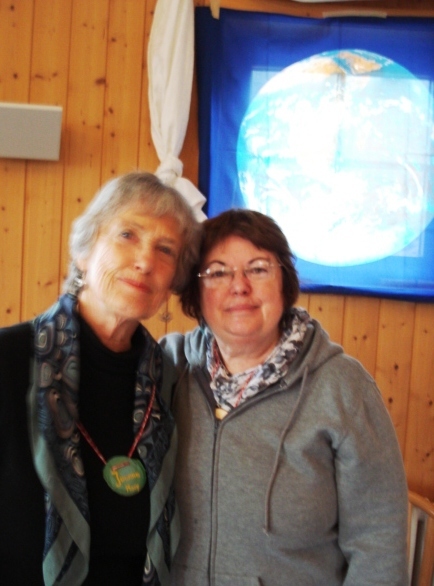 This interactive workshop was developed by Joanna Macy, internationally acclaimed author, eco-philosopher and activist. The Work helps us transform fear and despair into inspiration and a sense of empowerment. Experience the healing power of gratitude, find compassion in honoring your pain for the world, embrace your connections with each other and with the self-healing powers in the web of life, and realize your potential to make a difference. The workshop includes experiential practices, movement, inspirational readings and teachings, and simple rituals. This work is engaging, invigorating and gives you tools for dealing with the challenges of living in difficult times. Click Here for some Personal Empowerment Tools. Drawing from deep ecology, systems theory and spiritual traditions, the Work That Reconnects (WTR) builds motivation, creativity, courage and solidarity for the transition to a sustainable human culture. First emerging in 1978, this pioneering, open-source body of work has its roots in the teachings and experiential methods of Dr. Joanna Macy. To learn the basics of the Work That Reconnects and its distinctive approach, people come to workshops that range in duration from a day or weekend to a ten or thirty-day intensive. But the Work That Reconnects extends far beyond such dedicated events, for its methods are widely used in classrooms, faith communities, grassroots organizing, and environmental and civil rights campaigns. For more Information about Active Hope in South Africa, contact me. An Article about Power by Joanna Macy. We can enjoy a wider sense of identity than that prescribed by the Industrial Growth Society. It is both our birthright and our necessity for survival. Here are words from Arne Naess’ ground-breaking talk introducing the concept of the ecological self. ‘For at least 2500 years, humankind has struggled with basic questions about who we are, what we are heading for, what kind of reality we are part of. Two thousand five hundred years is a short period in the lifetime of a species, and still less in the lifetime of the Earth, on whose surface we belong as mobile parts’. 2. Human nature is such that with sufficient all-sided maturity we cannot avoid “identifying” ourselves with all living beings, beautiful or ugly, big or small, sentient or not. I will elucidate my concept of identifying later. 3. Traditionally the maturity of the self develops through three stages–from ego to social self, and from social self to metaphysical self. In this conception of the process nature–our home, our immediate environment, where we belong as children–is largely ignored. I therefore tentatively introduce the concept of an ecological self. We may be in, of and for nature from our very beginning. 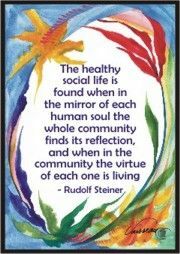 Society and human relations are important, but our self is richer in its constitutive relations. These relations are not only relations we have with humans and the human community, but with the larger community of all living beings. 4. The joy and meaning of life is enhanced through increased self-realization, through the fulfillment of each being’s potential. Whatever the differences between beings, increased self-realization implies broadening and deepening of the self. 5. Because of an inescapable process of identification with others, with growing maturity, the self is widened and deepened. We “see ourself in others”. Self-realization is hindered if the self-realization of others, with whom we identify, is hindered. Love of ourself will labor to overcome this obstacle by assisting in the self-realization of others according to the formula “live and let live.” Thus, all that can be achieved by altruism–the dutiful, moral consideration of others– can be achieved–and much more–through widening and deepening ourself. Following Immanuel Kant’s critique, we then act beautifully but neither morally nor immorally. 6. The challenge of today is to save the planet from further devastation which violates both the enlightened self-interest of humans and non-humans, and decreases the potential of joyful existence for all. From “Self Realization: An Ecological Approach to Being in the World,” Thinking Life A Mountain, with John Seed, Joanna Macy & Pat Fleming, New Society, 1988. Earlier in its development this approach was known as “despair and empowerment work,” “psychological peace work,” and “deep ecology work.” Its theory and practice are described in the following books: Despair and Personal Power in the Nuclear Age, by Joanna Macy in 1983; Thinking Like a Mountain: Toward a Council of All Beings, 1988, by John Seed, Joanna Macy, Arne Naess and Pat Fleming; Coming Back to Life: Practices to Reconnect Our Lives, Our World, 1998, by Joanna Macy and Molly Young Brown; and Active Hope: How to Face the Mess we’re in Without Going Crazy, 2012, by Joanna Macy and Chris Johnstone.